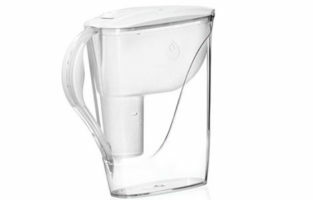 Even though we are going to review what is called a basic water filter pitcher, the Brita Large Everyday Pitcher is definitely more than that. 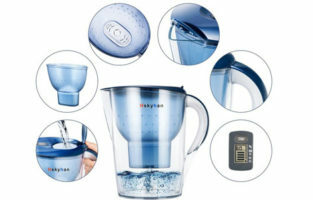 This type of water jug has two compartments. The first one is where the water is stored prior to getting filtered. Then the filter is attached to the bottom of this compartment. The mechanism resembles an hourglass but please don’t fancy turning the jug upside down (wink). 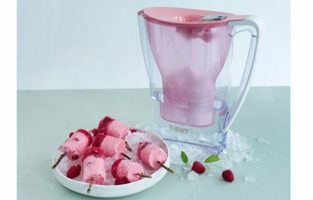 As the water slowly drips down, it fills the actual body of the jug. This amount is typically equal to 10 cups. Now the downside of those typical filter pitchers is definitely the time that you have to wait in order to pour a clean glass of water. About 1 minute is required for the water to go through the filter and fill the jug. However, this is not bothersome if you just leave it there and occasionally pour a glass as you pass by the pitcher. 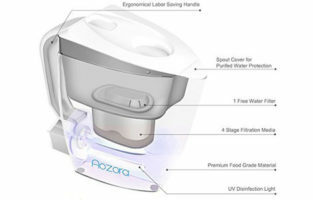 Another huge upside of this product is the number of contaminants that it gets rid of. Your water is not cleansed of only chlorine and bad smell. 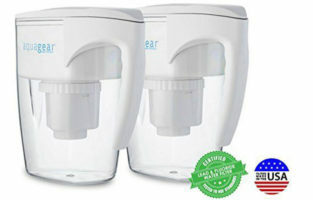 Cadmium, Copper and many other particles are also reduced significantly and this gives you clean and great tasting water. 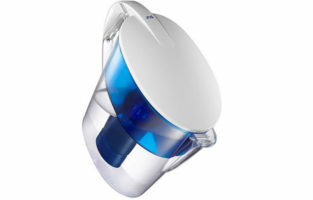 It is perfect for making coffee and tea as it will not distort the taste of your beverage at all. 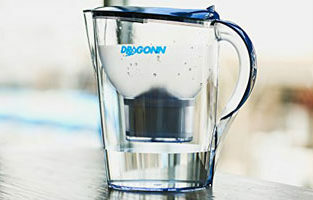 In comparison to the Filter-as-you-pour pitchers, this one actually has a smaller capacity. This is due to the relatively large filter which takes up about 1/3 of the volume. No matter how good this filter is, it does not distill water. 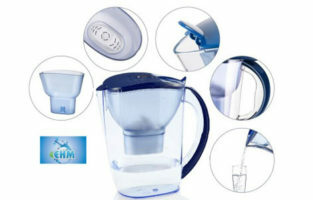 No water filter pitcher creates distilled water and you have to know that. Furthermore, distilled water is not good for human beings, it’s for machinery. attention, this is not 1 spare filter. 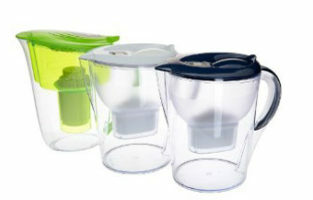 The jug simply comes with one filter so you do not have to buy it separately. Still a good deal, though. When it comes to functionality and design, however, some eyebrows might be raised. First of all, the handle doesn’t feel comfortable. It is bent and looks fine but once you start swinging that jug around, your fingers are sort of pressed together. Next, the top part cannot come off. This means that there’s no way to for you to clean between the two compartments of the pitcher. In contrast, the lid comes off relatively easily and this is not a good thing. 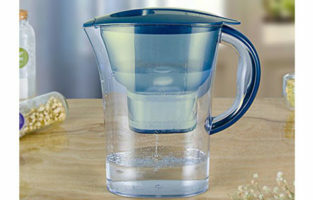 You risk spilling a lot of water or even damaging the jug if you tilt it in a rapid fashion without paying much attention. The last cup of water is difficult to pour. 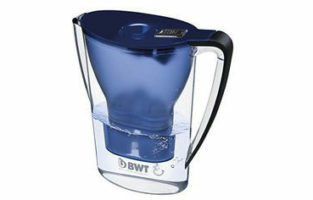 Yes, this is a knock on most water filter pitchers but Brita could have done a better job. 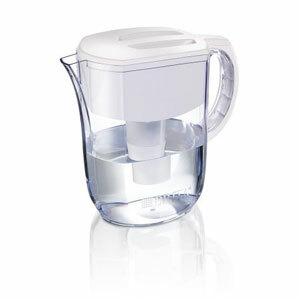 Additionally, if you try hard to get that last bit of water out of the jug by tilting it, the filter might fall off. 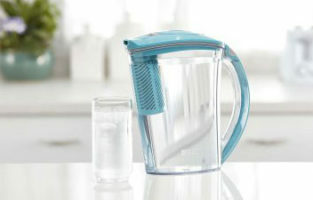 What is good about Brita is that they constantly try to update the quality of their filters. 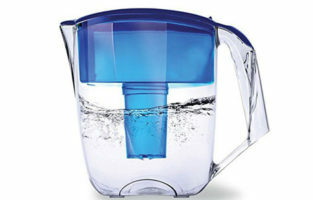 The newer filters will give you a faster effect and you won’t have to wait that long for your fresh water. 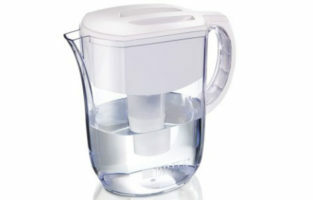 The body of the pitcher is definitely lighter than previous models but unfortunately, the bottom is also easy to crack. Overall, the pitcher doesn’t have a lot of extra plastic things, hinges or anything like that. The design is simple and that means there are fewer things to damage. Definitely a thumbs-up here. You can find the user guide here. The rest is pretty standard – sticker filter replacement indicator (yes, not electronic), about 2 months of filter life or 40 gallons. 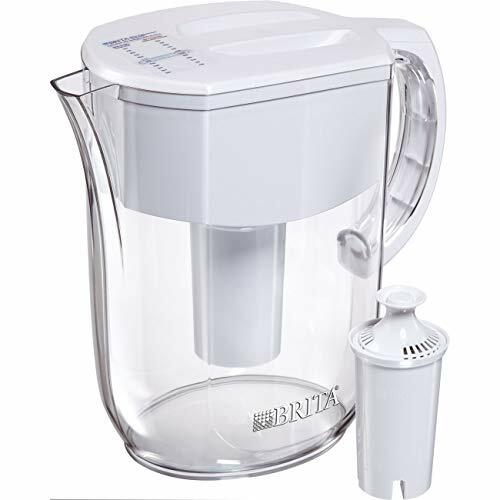 All in all, the Brita Everyday Water Pitcher is truly a basic model but questions may be asked regarding the value for money. 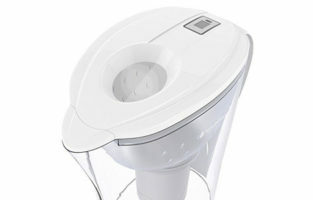 The lid falls off easily – not a great feature of something which needs to keep your water from spilling while being tilted.